5% discount on home improvement projects for Military and First Responders. Call the number below to learn more. Trust our experts to update your kitchen or bathroom with new cabinets. Is it time for new cabinets? At Sears, we have many exciting options to fit almost any budget. Let a Sears expert provide you with all of the options at a free at-home consultation. Schedule your appointment today. We are committed to your satisfaction and have also earned Home Advisor’s Seal of Approval. There are many ways to update your bathroom or kitchen cabinets, from a full replacement service through to refacing cabinets and making specific hardware changes. Not only do you need to ensure that your base cabinets can handle your storage needs, you also need to check that your cabinets meet the aesthetic features of the surrounding room. At Sears Home Services, we provide a full range of cabinet styles and options. From shaker, transitional and traditional to contemporary and casual, you can access a wide array of door styles to match the appearance and personality of your kitchen or bathroom. Along with the style of cabinets that you choose, the material used has the biggest impact on the overall look of your kitchen. 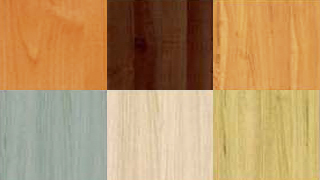 From our extensive wood selection to veneer and laminate, we provide access to a large selection of door materials. 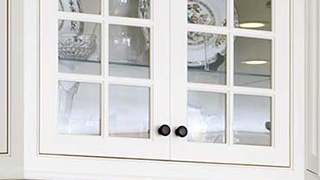 At Sears, we offer replacement cabinet doors and drawer fronts in a range of materials. We also offer services for refacing cabinets, including cabinet doors and drawers, with popular materials like maple, birch, thermofoil and wood veneers. Along with the style and materials used, the finish options that you choose have a big impact on the overall look of your bathroom or kitchen cabinets. At Sears Home Services, our customers have access to a variety of finish options, including wood veneer, laminate and thermofoil. We also provide a huge selection of colors to choose from, with our 80-color palette ranging from modern whites and grays through to natural woods and rich blacks. When it comes to interior design, sometimes it’s the little things that make the biggest difference. Whether you want brand new cabinets installed, cabinet refacing or replacement cabinet hinges, we provide all the final details that you need to complete your bathroom or kitchen cabinet remodel. From new soft close cabinet hinges through to brushed nickel cabinet knobs, new hardware can make a dramatic difference to the look and functionality of your room. The style of your cabinets can set a new mood for your kitchen. With nearly 80 colors to choose from, find just the right hue. 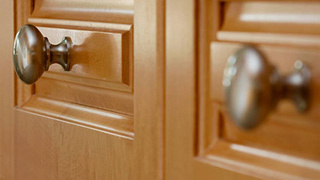 The final details–new hinges, knobs, and pulls–complete your cabinet remodel. Share your goals and budget—and learn about financing. Get a free same-day or next-day visit and receive estimate. Our licensed pros tailor the job to fit your budget and timeline. QUIZ: Are You a Dishwasher Sinner or Saint? QUIZ: Are You Guilty of These Cooking Sins?